Subject: The site where Oregon’s provisional constitution was adopted in 1843. 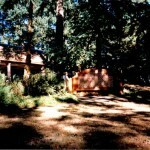 This area, once named tchámpuick, the ‘place of yampah’ was the traditional homeland of the Tualatin Kalapuya tribe. Fur trappers first arrived here by canoe in 1811, and they found lush open prairies bordering the Willamette River. In 1830, French-Canadians retiring from the Hudson’s Bay Company and their Indian wives began farms and raised families near here. Champoeg soon became a shipping and commercial center. In 1851, local tribes and the U.S. government negotiated six treaties at this location; all went unratified by Congress. A thriving town existed here until the flood of 1861 swept away all the buildings. 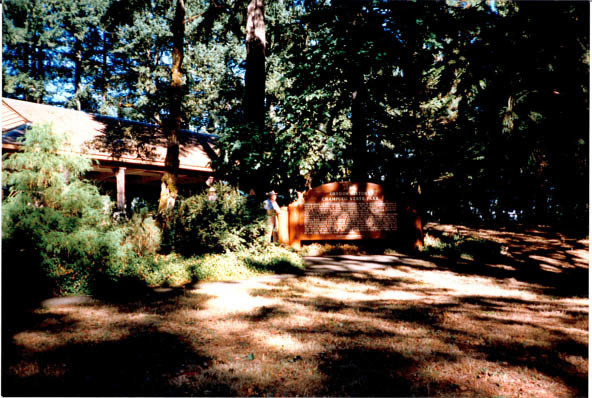 It is also the memorial site of the May 2, 1843, meeting of the “inhabitants of the Willamette settlements” who formed a provisional government, the first American government on the Pacific coast.